The rumored HTC Vigor, named to be successor to the Droid Incredible 2, has leaked its boot animation sequence, defaulted wallpapers, including its live wallpaper, in addition to the notifications and default ringtones on the device. The boot sequence also confirms some expected features of the phone. As reported previously, reports have placed the Vigor potentially releasing by October 13th. 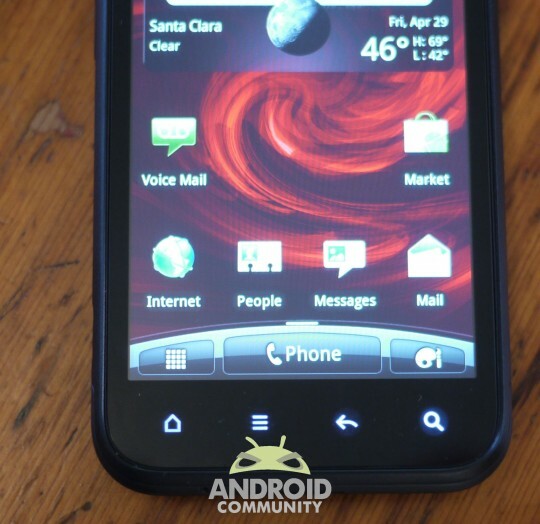 Specifications for the phone include a dual-core 1.5 GHZ processor, a 4.3″ HD screen (720p), and Android 2.3.4 Gingerbread. The device has also been cleared through the FCC as an LTE device, bringing another 4G option for Verizon. While the leak only provides image files the live wallpaper can be installed to your device if you so desire. It’s good to see that Verizon is providing other alternatives to the Droid Bionic for those seeking an LTE device.